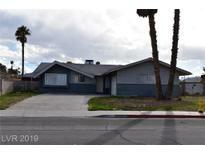 Below you can view all the homes for sale in the Fairacres subdivision located in Las Vegas Nevada. Listings in Fairacres are updated daily from data we receive from the Las Vegas multiple listing service. To learn more about any of these homes or to receive custom notifications when a new property is listed for sale in Fairacres, give us a call at 702-323-5933. 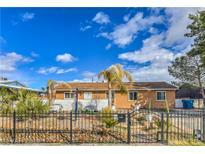 This home is in desirable westside location near the Strip & Downtown! 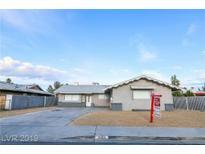 MLS#2088707. Keller Williams Realty SW.
Remodeled ,Roof Almost NewMLS#2087062. Blackbird Realty & Management. BEAUTIFUL single story on an over sized lot conveniently located on a central zone ready for the next homeowner house has a two extra bedrooms and 1 bath , for a total of 5 BEDROOMS AND 3 BATH MLS#2073848. King Realty Group. Convenient To So Many Amenities. You Will Love This Space! MLS#2068118. Compass Realty & Management, L.
Remodeled bathrooms, granite kitchen counter top with tile back spash and stainless steel appliances. MLS#2055633. HomeSmart Encore. 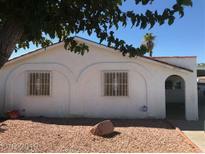 It is tear down or a major fixer up, best offer, motivated seller, quick response MLS#1990528. Quantified Investment Group.